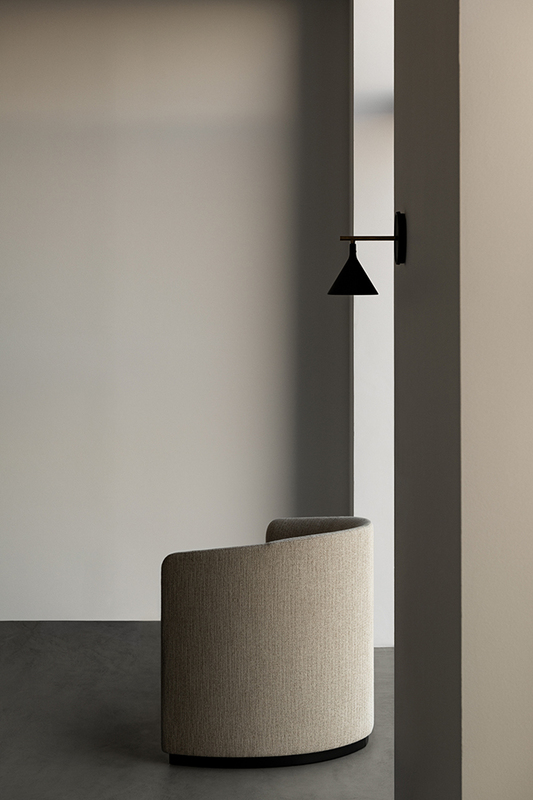 Releasing Connected Spaces for 2019, Danish brand MENU continues to unite spaces through carefully considered designs, making transitions from one place to another seamless, interesting and enjoyable. 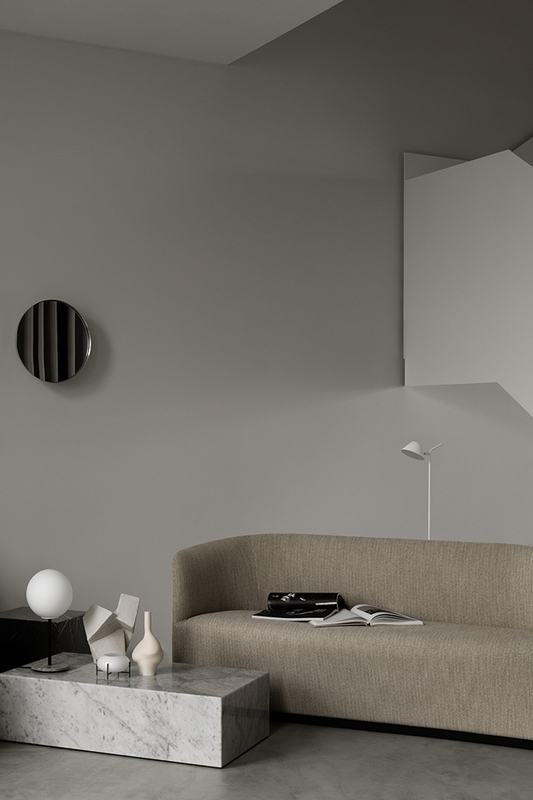 Showcased at the Stockholm Furniture Fair last week, here's a look at what's on offer. 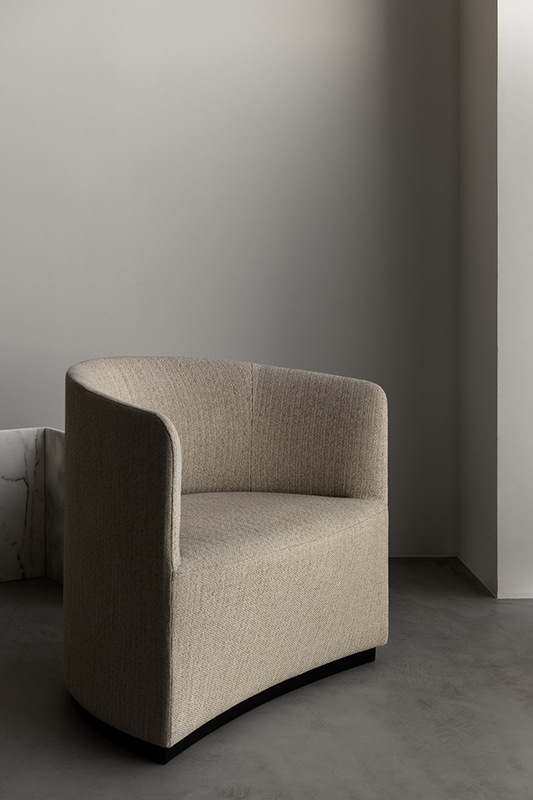 If the Tearoom Club Chair was a study in minimalist luxury, the new Tearoom Lounge Chair and Tearoom Sofa offer elegant proof of the study’s success. Nick Ross’ two latest designs are natural evolutions offering an indulgent way to relax; the lounge chair with its wider, lower seat, and the sofa comfortably accommodating multiple guests. Demonstrating the appeal of simple, geometric forms, the Tearoom series pairs the luxurious feel of full upholstery with a beautifully clean silhouette. So refined and elegant, this is definitely one of my favourite new designs for 2019. As a big fan of Theresa Rand's playful Échasse Series, I'm excited to see a new addition to the range, the Échasse Hurricane. 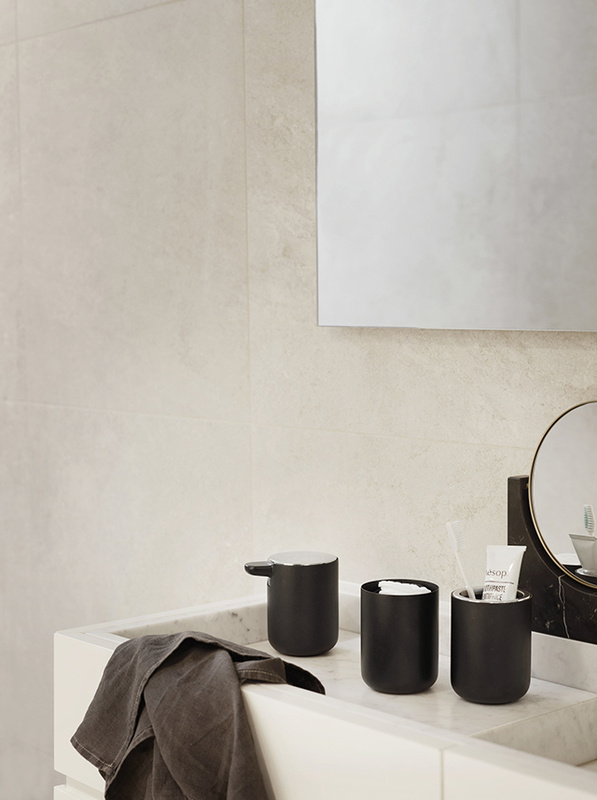 Completing the poetic trilogy with an ethereal expression that reimagines the classic elegance of glass vases and bowls with delicate legs (échasse is French for stilts), the new design features a clever, orbital shape. 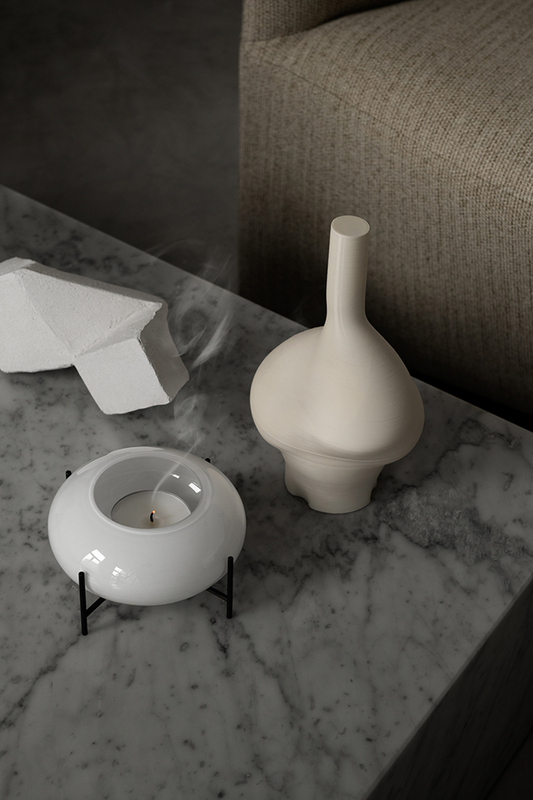 Designed as a sanctuary for tealight candles that prevents breezes from extinguishing the round drops of light, the stunning Échasse Hurricane could just be the ultimate amplification of the Nordic term 'hygge'. Originally conceived to serve a broad range of needs at Menu Space, MENU’s showroom/creative co-working space/café in Copenhagen, the Harbour Chair design has expanded to respond to all kinds of needs in private and public spaces. The latest rendition – the Harbour Side Chair – adds a new chapter to the Harbour story. 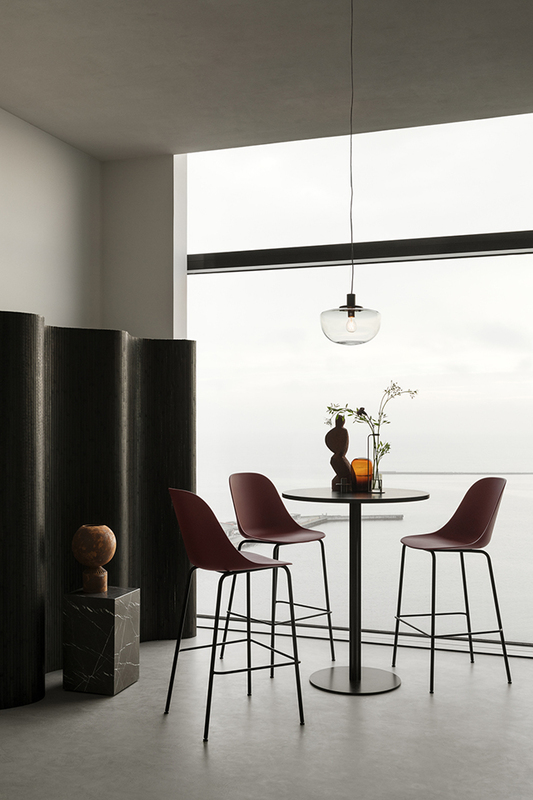 Designed to be paired with any of the existing Harbour Chair bases, the Harbour Side Chair has a slender, compact shell, allowing for a fit into into more spaces and under more tables. 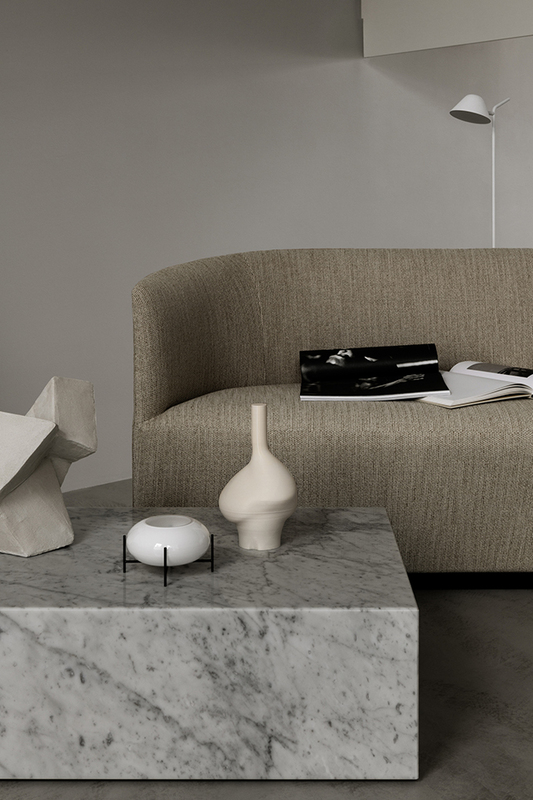 The new shell replaces armrests with gently curved sides that retain the sense of being cradled and supported while inviting complete freedom of movement. Beautiful on their own or alongside Harbour Chairs and Harbour Column Tables, the Harbour Side Chairs continue the collection’s elegant minimalism and ergonomic, comfort-driven experience. Other new addition include the Harbour Bar & Counter Side Chair (below) and Harbour Side Chair with Swivel. 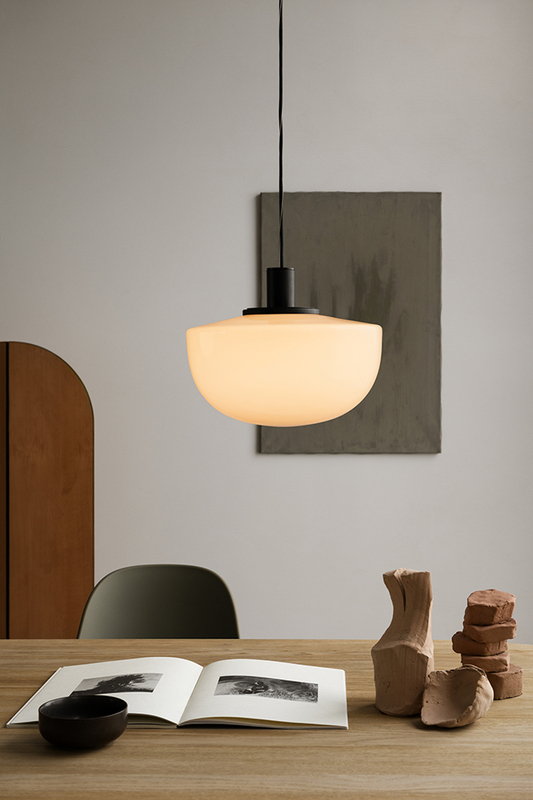 Proving that inspiration can come from the most unexpected places, it was on a visit to New York City that a certain vintage-style pendant repeatedly caught the eyes of Norm Architects’ founders Jonas Bjerre-Poulsen and Kasper Rønn as they strolled Lower Manhattan’s Financial District. 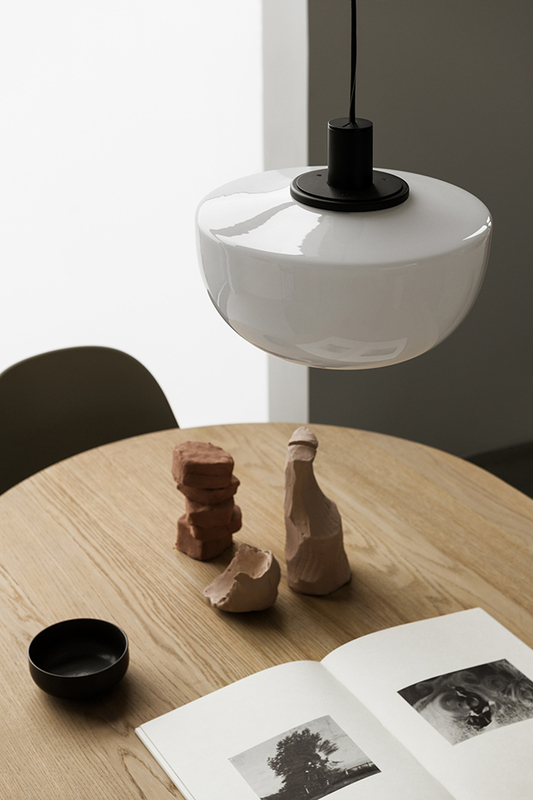 The form – born in the 1920s – soon underwent a modern makeover in the designers’ imaginations, becoming the stylish new Bank Pendant. At once nostalgic and novel, the design pairs big-city glamour with an intimate sense of warmth. 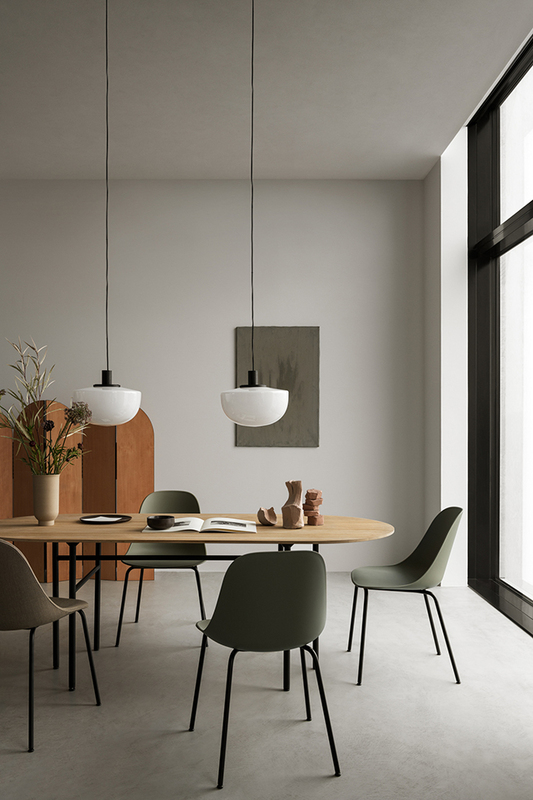 Norm Architects’ take on the retro pendant reflects the designers’ focus on functional, simple, and timeless objects that leave nothing more to add or take away. In the Bank Pendant, ornamentation has been removed to reveal the essence of the omni-light form, which generates 320-degree illumination. 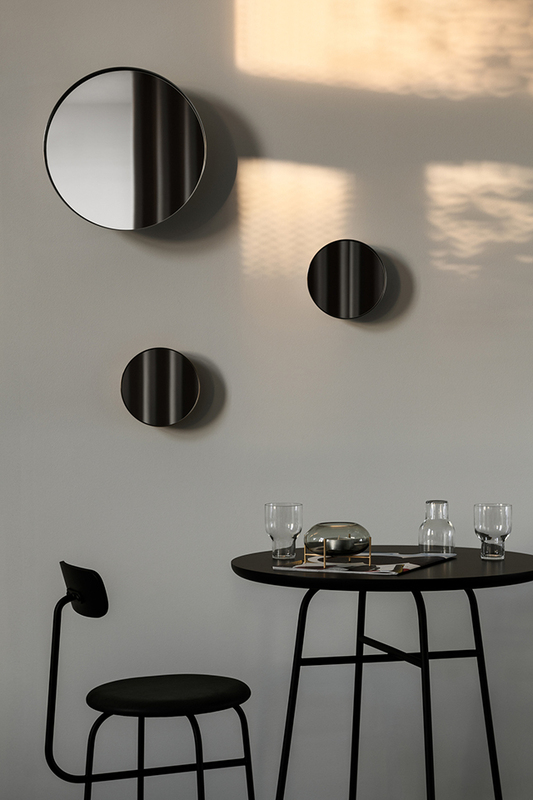 The pairing of opal or smoke mouth-blown glass with black powder coated aluminium creates beautiful contrasts, with gently curved edges throughout the design creating the soft, unified expression Norm Architects are known for. 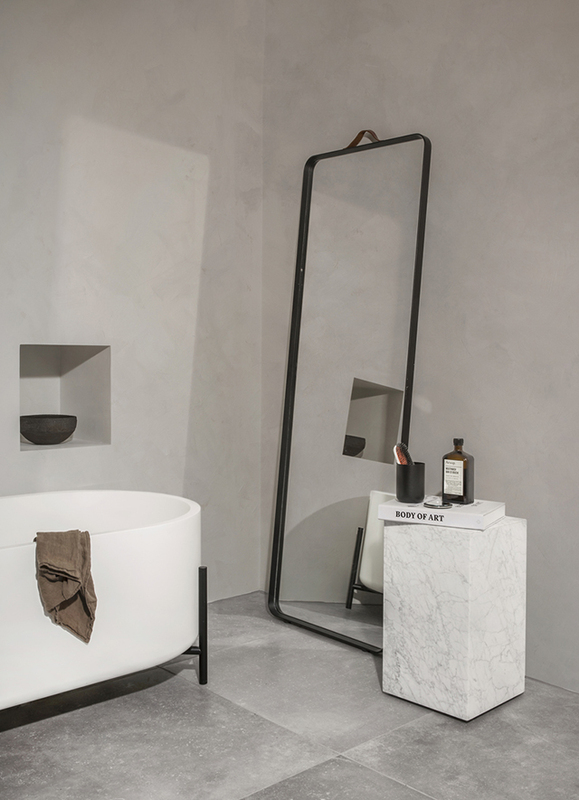 In creating the Bath Series, Norm Architects set out to transform the bathroom into a blissful respite, and as you will see from these new products, they have certainly succeeded. 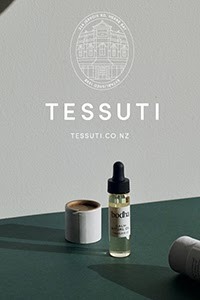 The new collection has expanded to meet new demands and offer new functional and aesthetic possibilities, all the while staying true to the MENU core ethos of soft, functional minimalism. 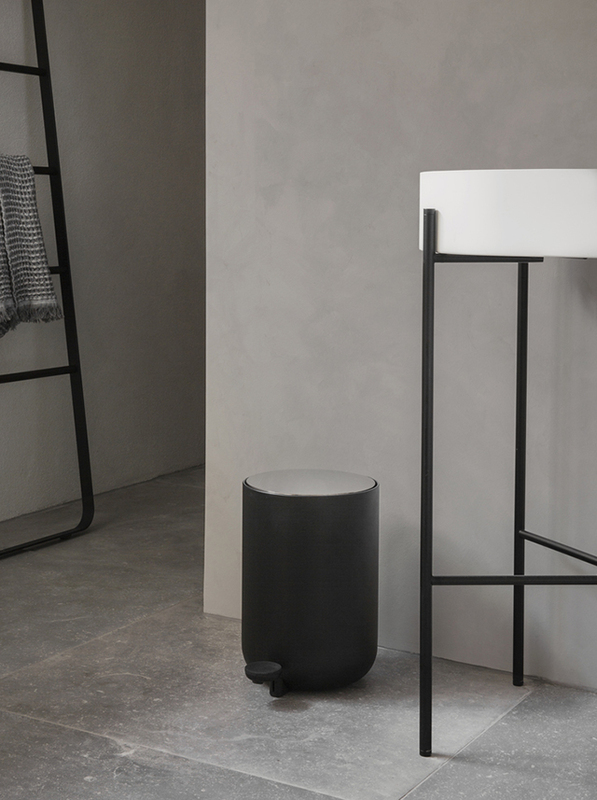 The full lineup now includes trash bins in an array of sizes, multiple mirror designs, a shower tray, a towel bar, a toilet roll holder, a shower wiper, and a towel ladder. 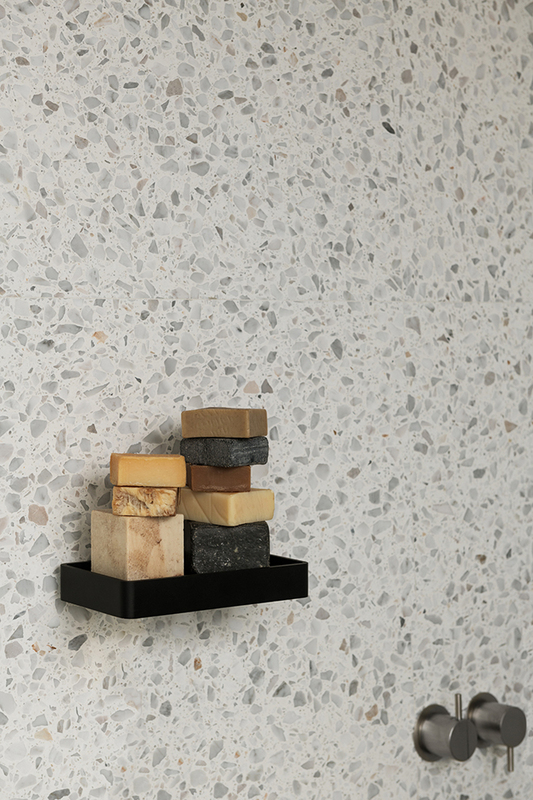 The Bath Series also offers a toothbrush holder, a soap pump, and a toilet brush – all three available in both freestanding and wall-mounted editions. 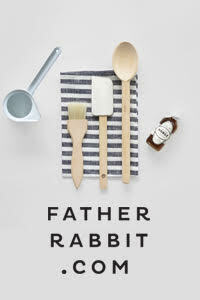 Norm Architects’ minimalist, human-centred sensibility shines through each accessory, with the designs responding to real-life needs while maintaining a sophisticated, modern expression. 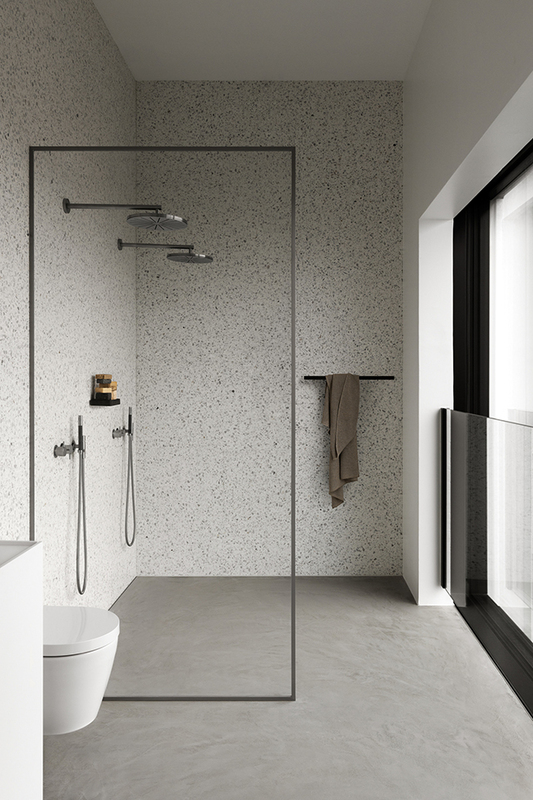 With purposeful, meticulously executed details, the Bath Series elements are refined yet adaptable, deeply thought-through and delightfully simple. I'll take one of each! 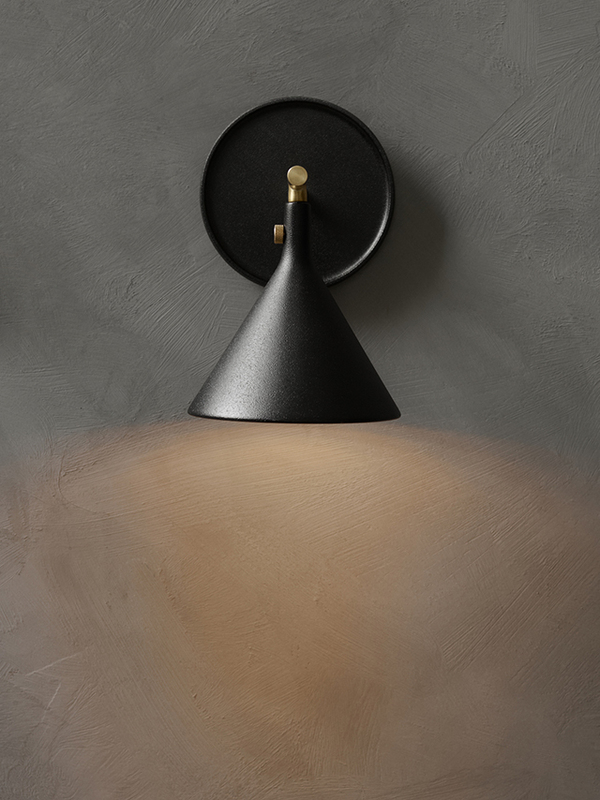 MENU introduces the Cast Sconce Wall Lamp by designers Tom Chung and Jordan Murphy, the duo behind the instantly recognisable, industrial Cast Pendant. For this addition they have adapted the small but mighty shade concept for wall applications, with a presence that rivals its functionality. 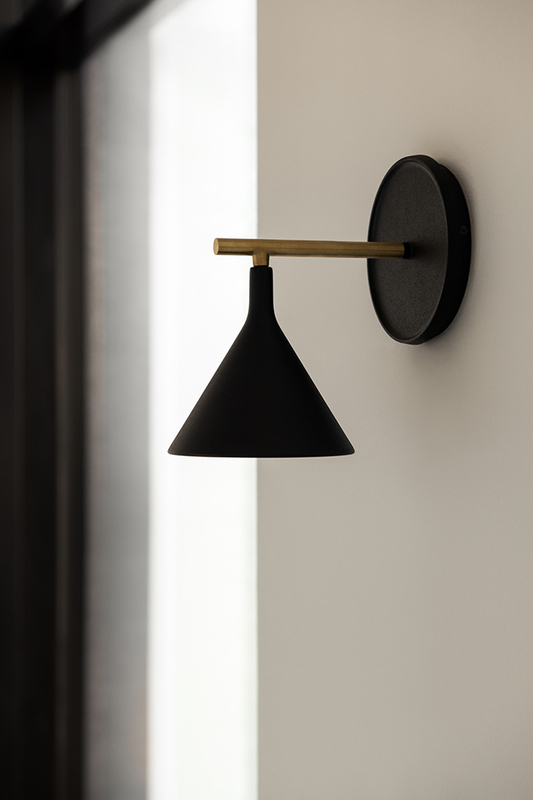 The compact new Cast Sconce Wall Lamp unites triangular, linear and round elements into a sophisticated geometric silhouette that contributes to the room’s ambiance both when the lamp is on and off. 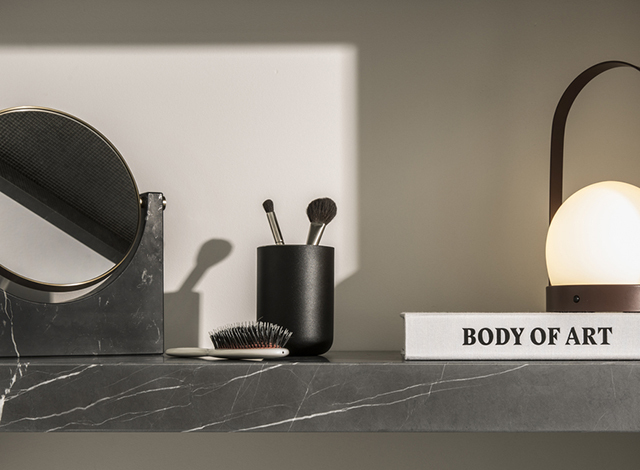 Continuing the pendants’ graphic expression, the Cast Sconce Wall Lamp also incorporates new components to establish a distinct identity. 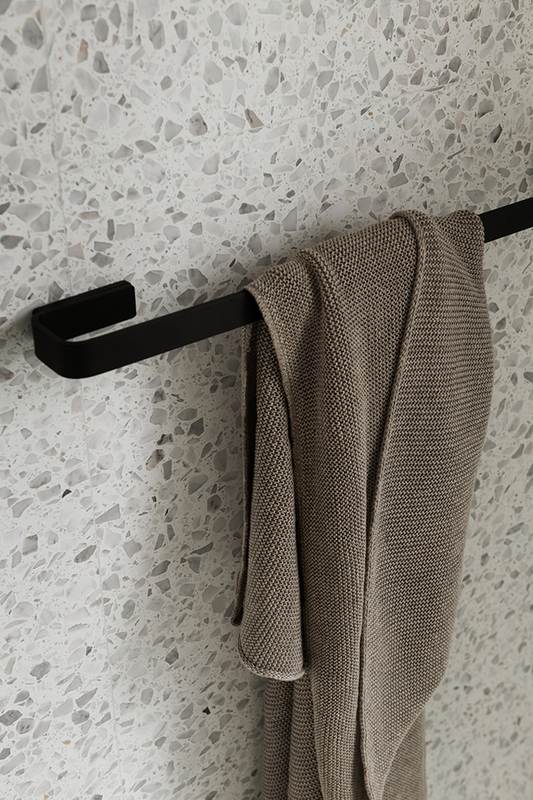 The thoughtfully designed brushed brass vertical bar and mounting plate create an engaging form that naturally assimilates into the décor of any space. I love it!